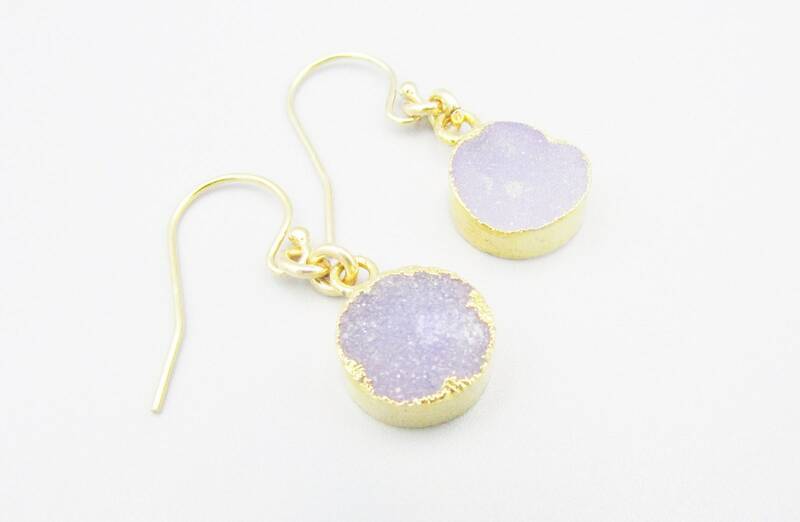 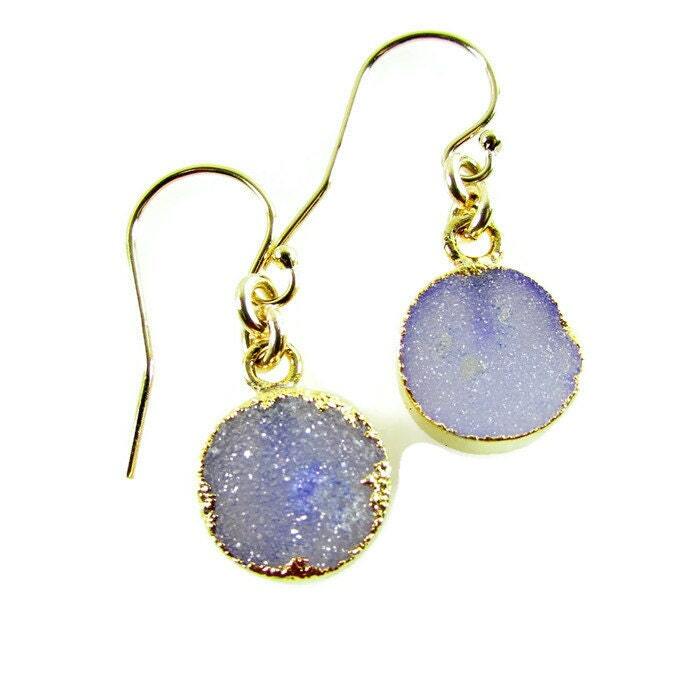 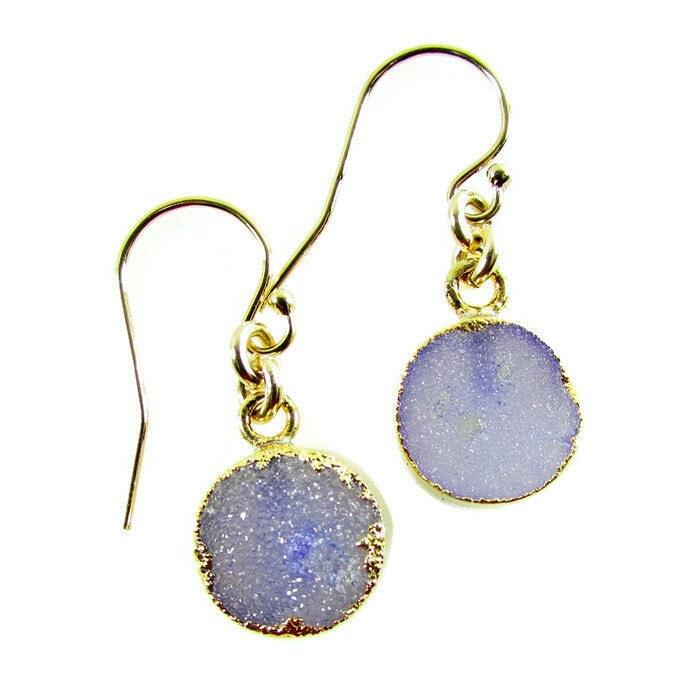 Wonderful delicate light purple druzy earrings. 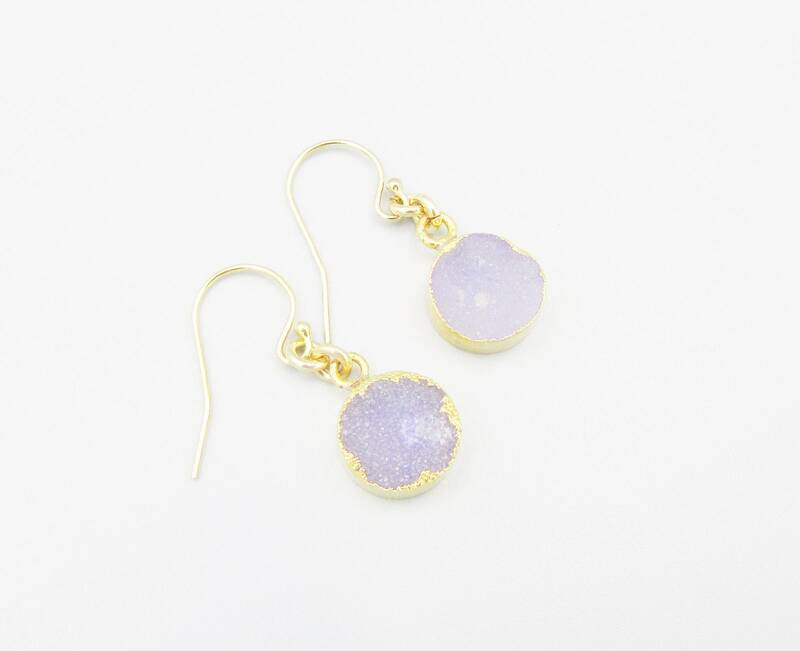 The druzy is 8mm round and the ear wires are 24K gold filled. 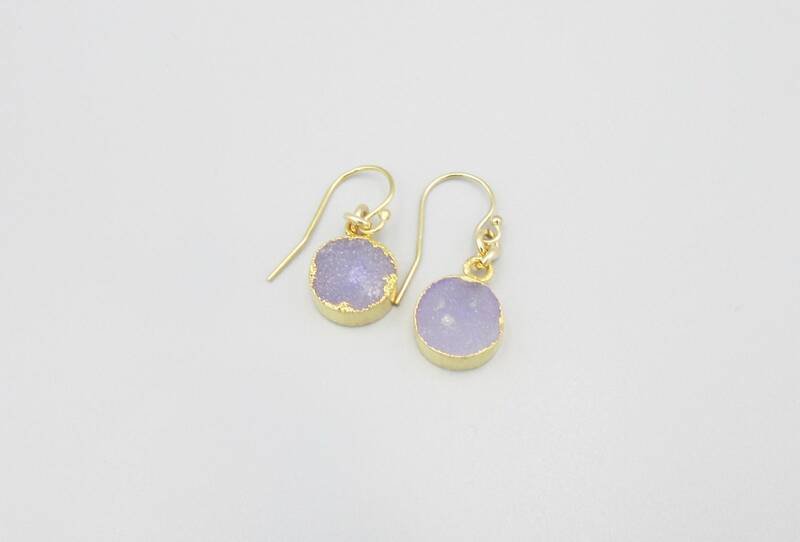 Lovely simple and stylish earrings, perfect for any occasion. 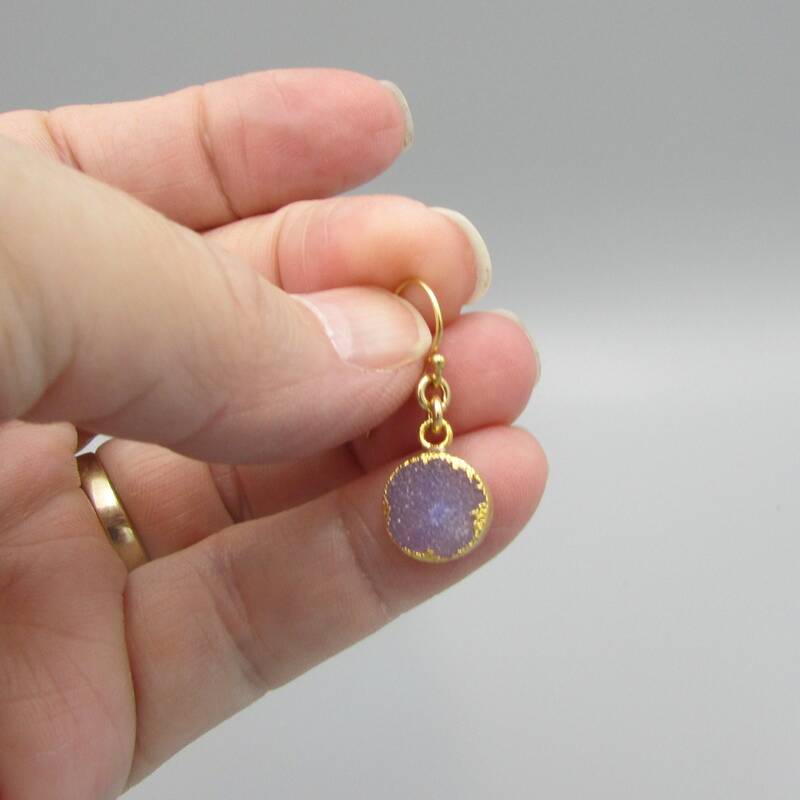 Length is about 1/2 inch.